On Sept 8 NASA is scheduled to launch the space vehicle OSIRIS-REx. It will spend a year studying the near-earth Asteroid Bennu and return home with samples. These specimens of material from the solar system’s early stages will give clues took the origins of life on Earth (and other planets). 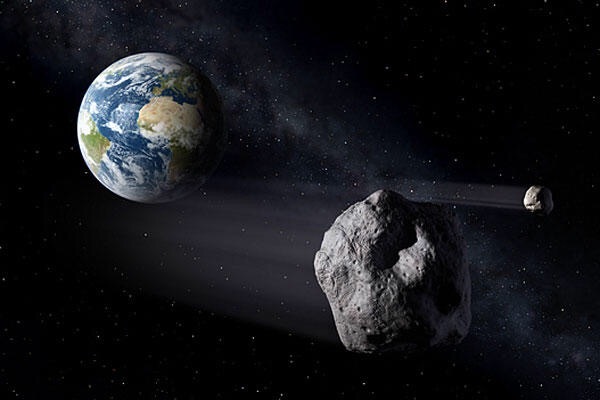 It will also analyze the effects of gravity and heat on the asteroid’s orbit since a collision with Earth is possible in the next century. The impact would equal 200 Hiroshima-size atomic bombs but fortunately the odds of a direct collision are only 1 in 2750.